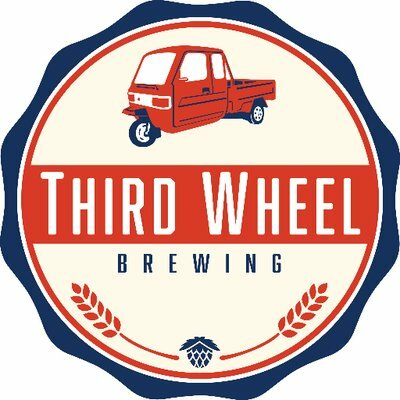 Third Wheel Brewing Company in St. Peters, MO! 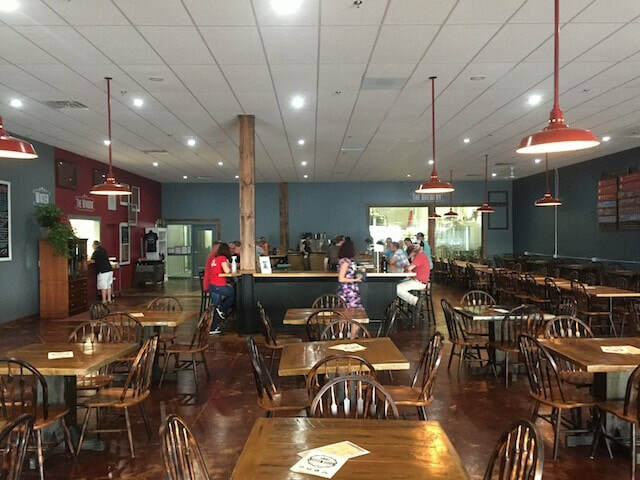 This year, instead of charging a fee for the food, we are letting everyone buy their own dinner or snacks from "The Window", and the big new change is the available bar! You are responsible for your own bar tab, but if you let them know that you're with STLBJD, the sodas will be free. We will have a free-for-all crafting supply bin! These are donated crafting supplies that we can't offer at the main event at Jackman's on Saturday, so we have decided to offer them on a first-come-first-served basis. Please feel free to paw through the box and take home a bag of special goodies! Feel free to bring a significant other, friend, or family member for a fun Friday event! STLBJDCON - Two Months Away! ​We’re two months away from the convention! It’s been a colder than normal winter in St. Louis and we’re ready for spring! Steampunk is a theme we’re very excited about - many of our staff have also done many steampunk events in the past, so don your goggles and ready your Nerf Mavericks! Please find information on registration, programming, and vending below. Any additional questions? Check out the FAQ on the website or contact us. Call for ArtWe’d love to show off your doll’s Steampunk best! If you would like to showcase your credited Steampunk art in the programming book, contact Jen! Not just your average banquet, we provide a local showcase of food and live entertainment with Contests, Raffles, and Auctions to get the convention started! This event is also great for friends and family, not just dolly folk. Please note any food restrictions you may have on the registration form - we aim to provide for everyone! Our convention brings a doll meet feel but with new friends from across the country. We offer panels, hands on workshops, vendors from across the US, auctions, photo areas, auctions, raffles, and more! Our panels and workshops have spanned a wide range of topics including BJD care, storytelling, doll creation and history - we even bring in sewing machines for clothing creation! Some workshops may require an additional price for material costs. You can purchase these after registering online or at the convention. We’d love to hear about your idea! Please contact Claire at programming@stlbjdcon.com - panelists receive a discount on their convention rate! Interested in Vending at our convention? We accept BJD and related vending - especially if it’s Steampunk themed this year! An 8' x 6' vending space and one badge is $50, with additional tables and/or badges at $25. Provided tables are a minimum of 3' x 8' - you are welcome to provide your own table as long as it fits within the confines of your vending space. If you know a vendor that may be interested in our convention, or have any questions, contact Karin at vending@stlbjdcon.com. These over-the-top headpieces are no longer reserved for royalty. This one is easy to make and even easier on your wallet. This workshop will supply you with all you need to make over the top headdresses for your dolls. Boys, Girls, tiny to 70cm, Nan will walk you through the step by step process on how to decorate and accentuate any outfit. Workshop material cost: $10. Everything (well, most things) you need to know to hybrid your doll! How to find the perfect fit for what you want, and tricks to fix it when it’s not quite perfect. See some hybrids, bring your own, and get ready to share, discuss and hopefully learn a little about that thing we lovingly call the “frankendoll". Hosted by Dea! This event is free, and everyone that donates nonperishable foods and personal care items for the OBC food pantry will receive a special gift! Bring your dolls and find a photogenic spot in Halloween Town or in the snowy Christmas Village. Enjoy our famous Tea Buffet, with a wide variety of hot and iced teas and punch. Join in on the pot luck of tea snacks and nibbles. Show us your decorating skills at the Holiday Tree Decorating Contest! Peruse the merchant tables for treats or gifts! Thank you to everyone who was able to join us for our 2017 event! As we mentioned at closing ceremonies, we are offering a special pre-registration rate for our 2018 convention from now until April 12th! After 4/12 the rate will increase by $15 for each, so don't delay! Date: Spring 2018 We're aiming for early March 2018, so stay tuned!